Equiniti launched PeopleAX last Friday with the help of mentalist and business coach David Meade. Eight of Northern Ireland’s top companies were present to hear all about the Microsoft-accredited HR and payroll solution, and to see David perform a few mind-reading tricks and talk about the need for businesses to take risks in order to grow. Next week Equiniti will be exhibiting at the HR Software Show at the London Olympia from 18-19 June where they hope to continue the magic! 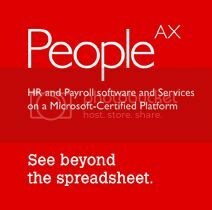 Find out more about PeopleAX here.